If you write a blog then there is a higher than average chance that you won't interview yourself on it. There is also an even higher than average chance that, should you decide to interview yourself, you wouldn't consider telling the world how so 'very cool' you thought you were. Yet this is exactly what Microsoft has decided to do this week, to celebrate the announcement of the pricing and release date on its new operating system, Windows 7. We've been using Windows 7 ever since the first beta launched and we think it is one of Microsoft's best operating systems to date. It is quick, intuitive, stable, secure and - *cough* - looks a lot like a Mac OS. The 'word of mouth', as the marketeers have it, is clearly going to do the business for Microsoft with Windows 7. So perhaps we are missing something here when we wince at the bizarre 'high-five feedback loop' Microsoft's Brad Brooks (Corporate VP for Windows Consumer Marketing) and Brandon LeBlanc (Windows Communications Manager) get stuck in when conducting a questions-and-answer session on Microsoft's Windows 7 blog. Indeed, we're with UK:Resistance's Gary Cutlack when it comes to Microsoft's embarrassing tendency to whoop and backslap. "Enthusiasm is another great British no-no," wrote Cutlack, when discussing the differences between British and American technology journalism. "The only way to tell we like something is if we're not slagging it off on the Internet 30 seconds after seeing it." "You know, we've got four different things I want to talk about," says Microsoft's Brad Brooks. "Number one is the Windows upgrade option. Number two is around some things that are changing around international availability around the GA date of October 22nd. Number three is around pricing. There's a lot of questions about pricing, and we clarify that, and some announcements around that. And then the last one is something a little special." We won't bore you any further with the details, suffice to say you can get them all in our earlier news feature if you don't know them already. Things start to go awry when Brooks mentions the fact that Microsoft plans to roll out 35 different language versions by 31 October. "That's rad," exclaims Brandon LeBlanc, "that we're able to get all languages taken care of by the end of October." BRAD BROOKS: It's very cool. Next up, pricing. 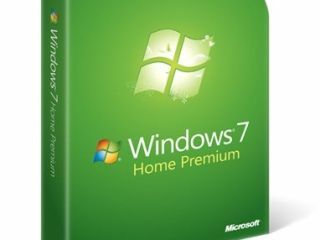 Microsoft is basically offering Windows 7E full version at upgrade prices in Europe. As it should do. "We have literally had millions of customers downloading, using, and giving feedback on our beta and RC product, more than any other version of an operating system that we've done in the history of Microsoft," notes Brooks. "For those customers I've got something special, which is for customers in the US, Canada, and Japan, starting tomorrow on 26 June, is they will be able to pick up a copy or they'll be able to pre-order, excuse me, a copy of Windows 7 for delivery on 22 October of either Home Premium or Windows 7 Pro versions. Home Premium in the US, example pricing will be $49.99, and the Pro version will be for $99.99. "We'll be doing a similar type of offer in the UK, France, and Germany starting on 15 July." BRANDON LEBLANC: Wow, that's pretty cool. BRAD BROOKS: Yeah. By far our most aggressive pricing that we've ever done for any type of offer with Windows, but it only goes to show the level of excitement we have about this product, not just our customers. BRANDON LEBLANC: Very, very cool. Well, thank you, Brad, for taking the time to kind of highlight these announcements. BRAD BROOKS: Thank you, Brandon. Check our earlier news for full details on Windows 7 pricing and availability.